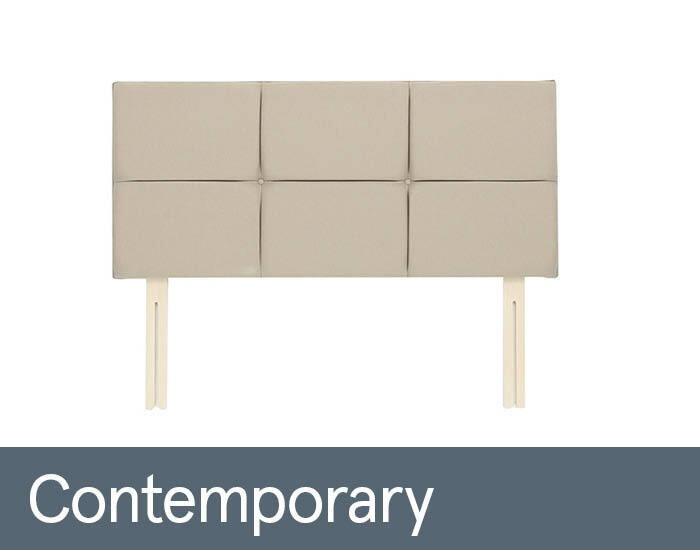 Contemporary headboard by Relyon is a stylish and bold design finished in a rectangular panel effect. Delicate button detail adds character making it a perfect addition to any divan bed. Choose from quality fabrics and different sizes.